Beirut is a city at the centre of the ancient world with plenty still to show for it. So now is time to visit this beautiful, once war ravaged city and take part in lively and fun setting while appreciating its history and beauty. 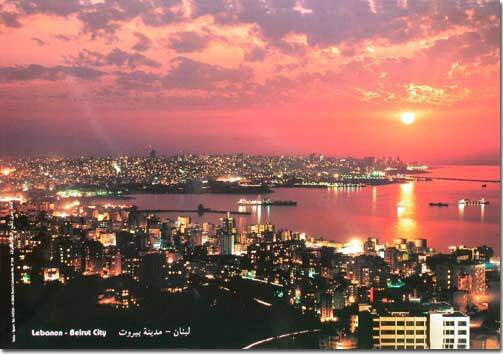 Beirut stands at the cross roads of three continents, making it one of the most culture filled areas of the earth. Populated at different stages by cultures including the Greeks, the Romans and the Ottoman Turks, the city is smorgasbord of history. Recently Beirut has been voted as one of the ‘Top 10 Liveliest Cities in the World’ by Lonely Planet. The city has been reconstructed after the devastating Lebanese civil war. The city, known as the Paris of the East, is certainly worth a trip for its aesthetic attractiveness alone. Beirut has a vast and varied history, situated at the centre of the ancient known world, there is still much evidence of many cultures that visited and stayed in the area of the port city. Walking through the city allows you to see evidence that remain from historic the occupations of the area. The renovated city centre is a beautiful place and best appreciated with a walking tour. The city is an amazing place and can be best seen on foot. Jeita Grotto is a set of underground caverns beside the city that offer quite an experience. The karsts limestone landscape, which was inhabited in prehistoric times, was rediscovered in 1958. The caverns which are up to 60m in height are home to the world’s largest stalactite. Visitors travel down an underground river to the caverns before having the chance to view the amazing caves. The Grotto is a source of pride for the Lebanon and one of the top tourist attractions in the country and a world renowned example of this type of landscape. For a different type of landscape, visit Our Lady of Harris. The statue, built by the French, sits 650m above the town of Harissa and offers spectacular views of Beirut and the surrounding areas. Travel to the top on and make the most of the view as it floats across the beautiful countryside. It’s also a place of tranquillity of those than want something a little quieter and pensive. The Lebanese National Museum offers a collection of over 100,000 objects that showcase Beirut as the treasure it is. The museum, which was damaged during the war is one of the leading collections of Phoenician objects in the world. Besides this, it also holds a large collection of prehistoric, Greek, Roman and Arab artefacts. Something not as expected in Beirut is Art, but there are 100s of galleries in the city. Creativity runs strong in Beirut and there is a wide selection of galleries to choose from. Beirut is a wonderful example of a city that has gone through tough times to come well out the other side. It’s a shining beacon in the Middle East and one that deserves tourists to witness its wonders.